Stay on track with your diet, maintain a long-term healthy eating plan while saving time and money with these keto-friendly meal prep recipes. The power of now will help balance your life by subduing the thoughts of your past and the future and focusing on the present moment which itself is the truest path to being happy, mindful, and enlightened. Written, arranged, and narrated to educate and inform those who are still being held back by the failures of their past and those who want to become mindful of the present, this guide will teach how to harness the power of now. Do you wish you could adopt a quick and easy ketogenic diet plan at home with just 15 minutes? Or you simply want a fuss free and simple solution to healthy meals and a slimmer body? 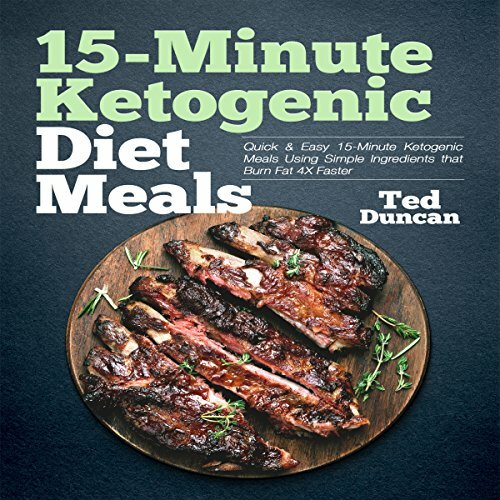 15 Minutes Ketogenic Diet Meals is the right audiobook for you as we will show you how to achieve that using just 15 minutes of your precious time and still achieve the same beneficial results that a ketogenic diet can attain. We have included selected recipes that are fast and easy to cook at home using just 15 minutes and common ingredients. These recipes will aid in the process of ketosis to burn that belly fat that you want to get rid of fast! This audiobook can help you achieve a healthy lifestyle while ensuring it is easier for you to do so. Fifteen minutes is all you need to get started to obtaining a healthier body, losing excess fat that you do not want, and feeling happier and more energized in life. 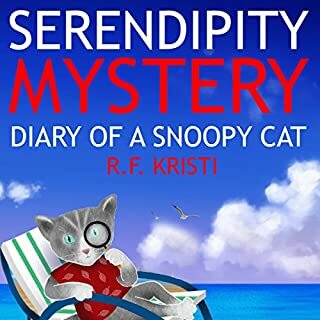 Buy this audiobook now to get started! Shipping Container Homes: The Complete Guide to Building Shipping Container Homes, Including Plans, Faqs, Cool Ideas, and More! Good sound ,Well recipes so testy and also healthy.. The book is very accessible, easy.The author gives us really helpful exercises, techniques and recommendations on this topic. I love this book, this book contains lot of good recipes with well organized instructions. 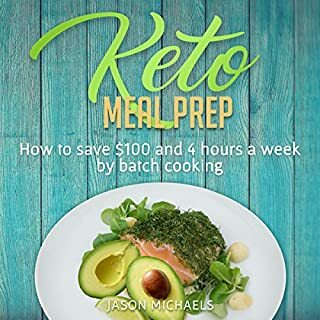 This book gives a very basic explanation of Keto and a lot of great, easy prep recipes.The recipes are good with good ingredients, taste, and all of the necessary things that it takes to make up the Keto Diet. I feel so much healthier and have noticed a lot of positive changes in my body. well researched material to help you reach your goals. Great recipes and conversion charts. Gives you a real understanding of how our body breaks down fat as opposed to carbs.Smoothies are easily made the previous day, and most dinners are made in about 15 minutes. This book is an excellent book on Meal Prep.The author has done a great job in creating this guide.This book is exceptionally elegantly composed by the writer and I exceedingly prescribe this book to every one of you folks.ketogenic recipes, one can loose weight and live a healthier lifestyle. There are some typos regarding the amount of ingredients listed in the weekly shopping list, so be sure to verify the list against the recipes.The recipes are good with good ingredients, taste, and all of the necessary things that it takes to make up the Keto Diet and what to eat. 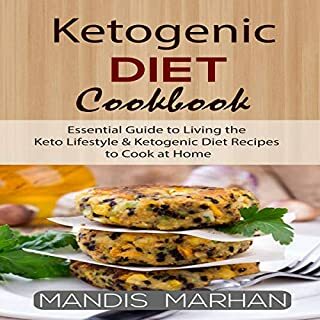 The author was informative and had a strong knowledge on Keto. 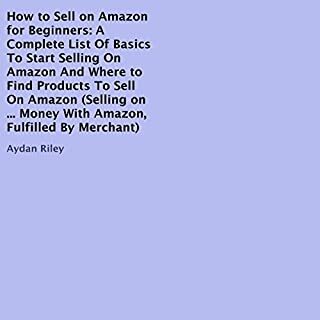 This book is great for beginners! Great recipes and conversion charts. Gives you a real understanding. The ingredients are very expensive.. I would love the author to revise the meal plan and recipe section. The recipes are good with good ingredients, taste, and all of the necessary things that it takes to make up the Keto Diet and what to eat. 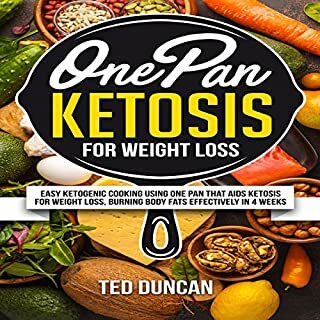 Best Keto book I have!!!! We are just starting the Keto way of eating and, as much as we love good food, neither of us wants to spend hours in the kitchen.These recipes are great. Other readers say not enough fat.Though some of the recipes can get a little overwhelming for someone knew to Keto. I loved it. Makes it simple to get started. 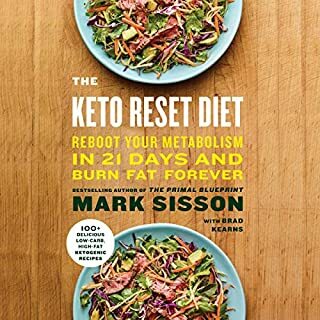 Easy read on the essentials of ketosis and how to start the process with success!This book affords easy to follow directions as to how to make this work for me. Recipes clear/concise and sound tasty. Nicely edited with great charts and graphics. We love it and it started the Ketogenic diet. We are just starting the Keto way of eating and, as much as we love good food, neither of us wants to spend hours in the kitchen. Though some of the recipes can get a little overwhelming for someone knew to Keto. A very unique approach for those wanting a low carb approach to health. Works for me.